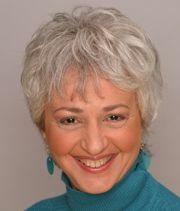 Rae Pica has been a children's movement specialist since 1980. She is the founder/director of Moving & Learning, a company offering services and materials related to physical activity for children from birth to age eight. Rae served on the National Association for Sport and Physical Education (NASPE) task force that created guidelines for early childhood physical activity, and is a columnist for Young Children, the journal of the National Association for the Education of Young Children (NAEYC). A popular speaker and workshop leader, she has consulted for groups such as the Sesame Street Research Department, the Centers for Disease Control, Gymboree Play & Music Centers, and the Head Start Bureau.